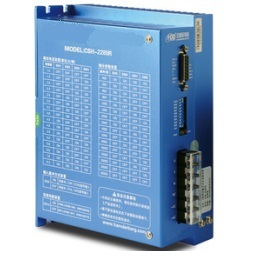 AC220V Input stepper driver， No need SMPS ,Transformer. 1.Adopt high speed motion control CPU. 2s self-adaptive after booting. suit for 42/57/86/110/130mm 3phase motors. 3.Has 16Microstep sub-divide options. Max. step quantity is 51200P/R. 4.Peak current in working condition is 1-8.5A. Output current has 8 grades. Current resolution is 0.5A. 5.Has half-current ,over voltage,over current protection and faults diagnose functions.